Obviously, since this is a book made specifically for children, there isn't likely to be much to it. It isn't intended to be particularly educational, and is geared more toward entertainment. 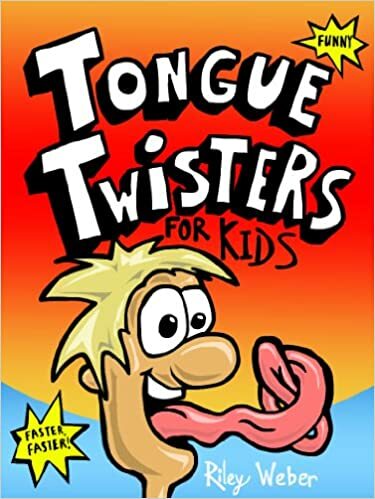 This eBook is 55 pages long and contains 50 tongue twisters ranging from familiar ones to many I had never heard before. Some were not too difficult to say, and others will take a bit of practice to get them right. My three year old grandson enjoyed listening to the book, although he is too young to read any of it himself. I will have to wait for my granddaughters to visit to get their opinion of this eBook. I think they will be amused by it. I ordered the eBook, but this book is also available in paperback or audio versions.